Photo on the left was taken October 2014 and the photo on the right is September 2015! 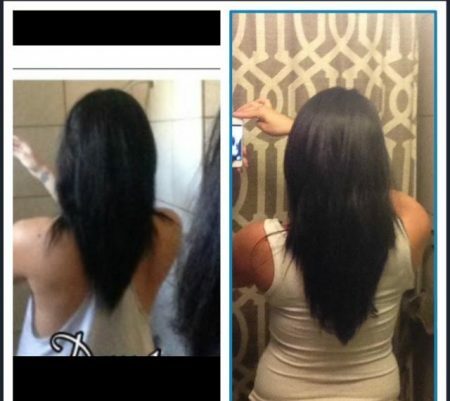 Almost one year my hair grows slowly but hairfinity does work!! Nothing else has helped my hair grow until I started these pills!! Genius. Thanks hairfinity!! !